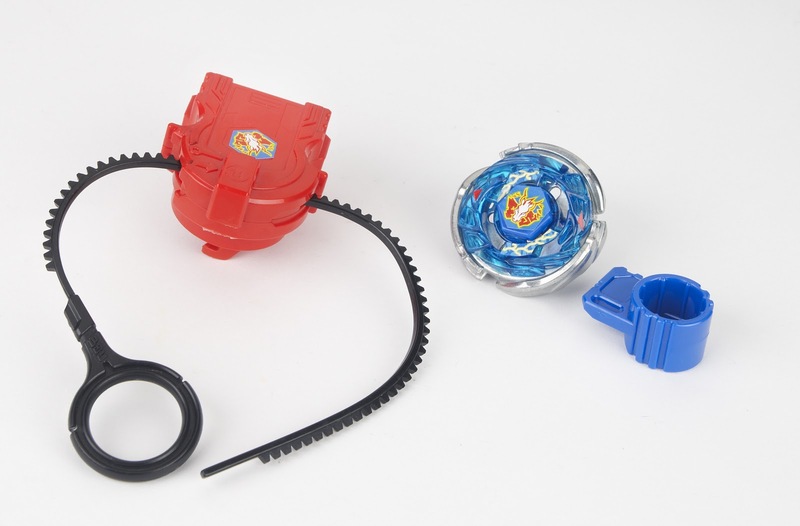 Hasbro's BEYBLADE: METAL FUSION battling-top toy line allows kids to collect, customize and compete with a new, metal gear system and the introduction of an online virtual battle component. With a focus on customization and high-performance competition, each top comes with five interchangeable parts, ready for kids to build and rebuild to maximize performance for battle. To get the action started, kids pull the top's ripcord, the tops go into high speed action, and the last top spinning wins. There are many tops to choose from, and lots of cool accessories, including launchers and a carrying case that turns into a battling stadium. My son LOVES BeyBlades, and we've had fun playing them together. He said to me one day that "they're his new favorite toy." That means a lot from a kid who has much to choose from. They are available at most major toy retailers nationwide and on HasbroToyShop.com. Kids can create cool color fusion with just the twist of a Blendy Marker! 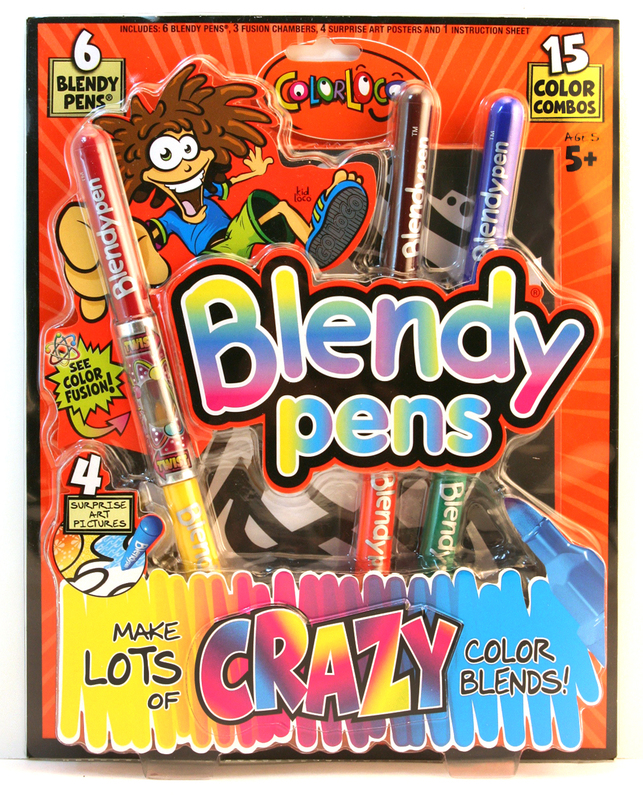 Blendy Pens are fun for all ages, and easy to use. Just insert any two Blendy Pens into the fusion chamber, and gently twist each one in the opposite direction. Watch inside the fusion chamber as the colors combine to create a new color. You can mix up your shade creations by fusing together various markers. 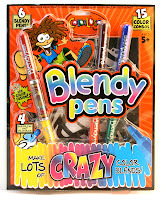 As seen on TV and affordably-priced, Blendy Pens are a blast, and Giddy Up™ offers a wide variety of Blendy Pen Kits. Perfect for gifts, parties, classrooms, rainy days…or just as a great addition to any young artists’ activity collection. The pens and kits come in a variety of sizes. Your child will enjoy, and I've had fun using them too. GiddyUp™ helps color your child’s world with creativity by expanding its line of innovative arts and crafts kits to include the clever and creative Sprayza Airbrush System. Kids can create very cool airbrushed effects with the Sprayza Airbrush System. 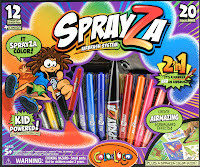 Just insert one of the Sprayza Pens into the Sprayza Tool, and blow – to create airbrushed art. Kids can also use the Sprayza Pens on their own to add detail to their pictures.. The Sprayza system is completely kid-powered. No batteries, no set up. It's easy, and moms will enjoy as well. My son and his friends had a really good with Sprayza. 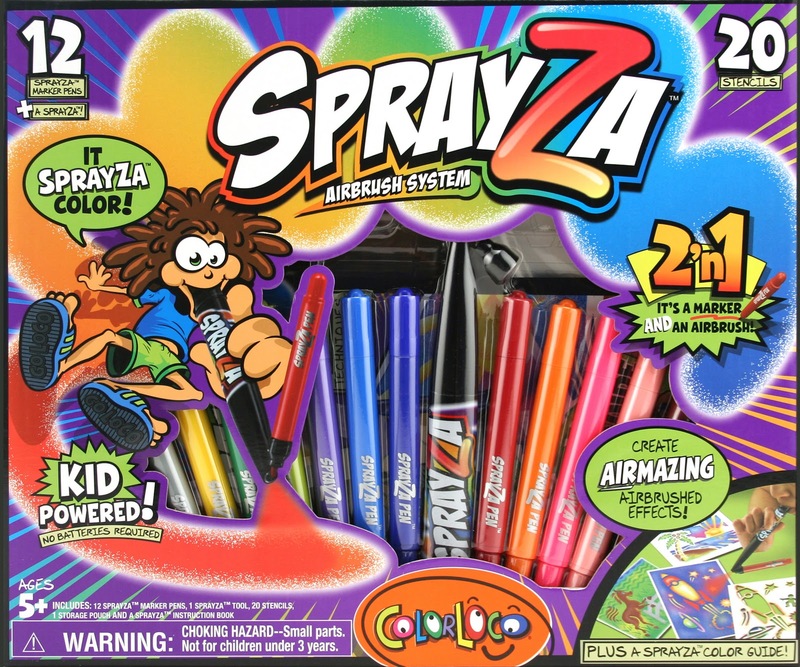 As seen on TV, Sprayza Kits make memorable gifts for any budding artist. They are ideal for the child who has everything, because they won't have anything like this. Various size kits are available including markers, tools, stencils, instruction books, posters, etc. The nation’s only gourmet home-meal-delivery service, offering an all-natural, preservative-free, flash-frozen diet system for even the most discriminating of palates, offers a one-of-a-kind program designed to keep your calorie in-take in check.entitled Lifestyle-Grab and Gourmet. Freshology has been grabbing headlines since the program launched in 2005 as the diet delivery that served up weight loss for Jennifer Lopez, Ricki Lake, Mel B and many others. They have a large selection of choices, and I recently had the opportunity to sample a few entrees and desserts. My favorites were The Ham and Egg Layer Cake - a nice option for breakfast, and the Italian Sausage Pizza with Braised Kale, - a uniquely healthy spin on pizza. Six Freshology meals are priced at $39.95. 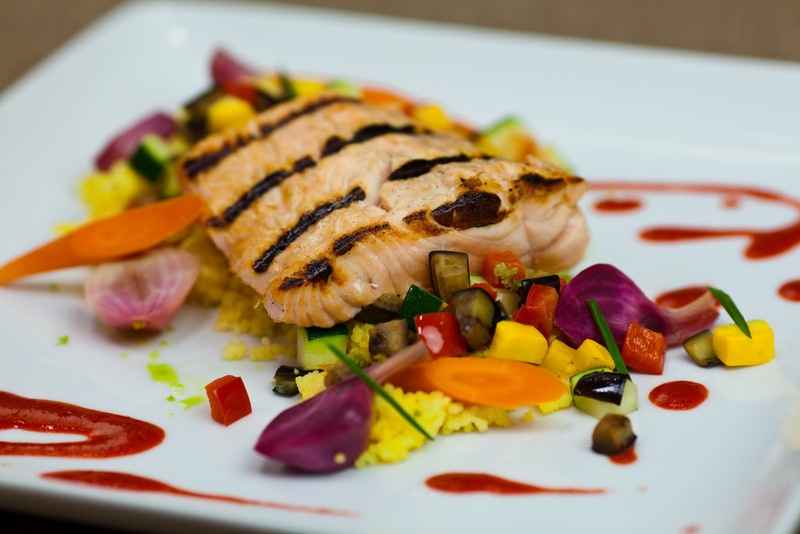 If you need a break from cooking, want to get your calories in check, and have been wanting to treat yourself to a healthy, balanced-diet, home delivery service, even if just for a period of time, Freshology is worth a look. Te Amo offers hot trends and celebrity looks for girls and the young-at-heart who want to keep up with the latest styles without a hefty price tag. Whether for a fashion conscious mom or the teen in your life, the Te Amo collection offers a wide selection of quality, bold, fun, hip and girly fashion-forward clothes. The line incorporates embellished leggings, shredded denim, flirty dresses and rocker jackets in a variety of prints and vibrant colors. I personally liked some of their stretchy tank tops and flowy, soft looking blouses. If you're parenting a girl, you might want to pay a visit to Sears or KMart, where the line is exclusively sold.